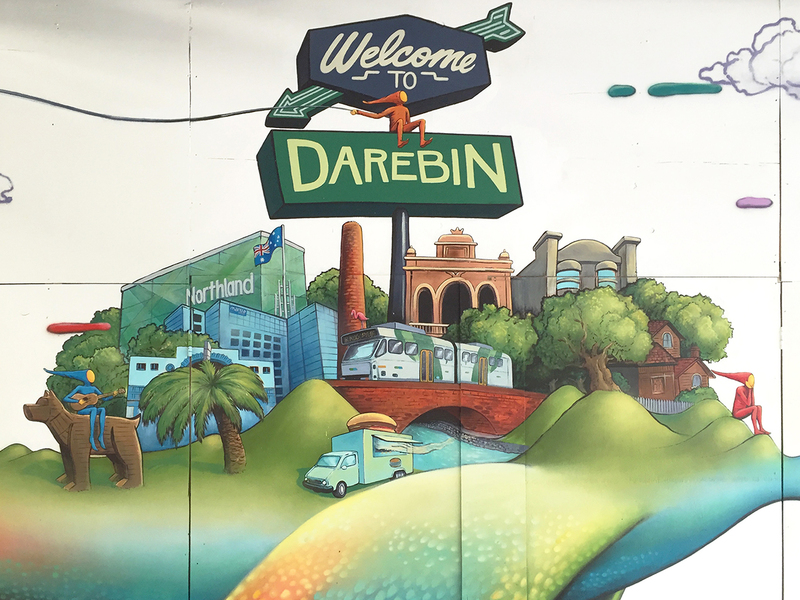 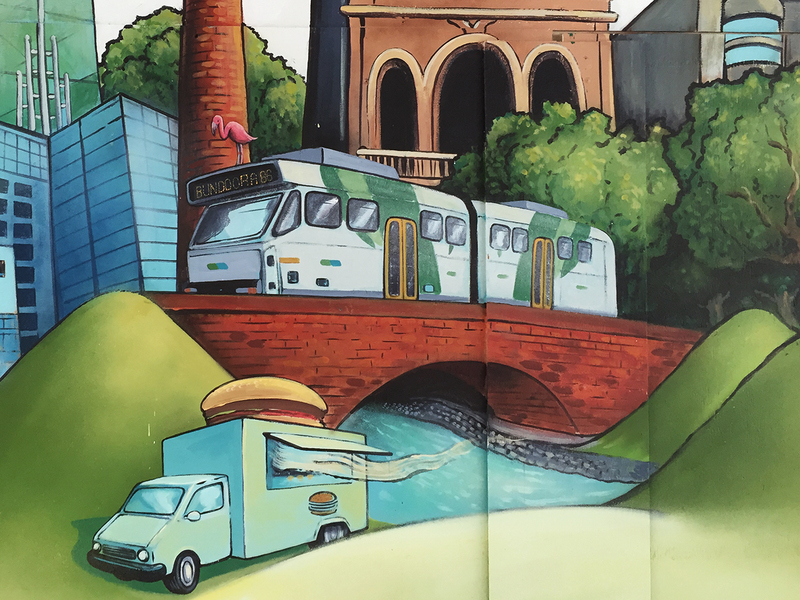 In September 2016 I was commissioned by City of Darebin council to create a mural for a tourism campaign entitled ‘Explore Darebin’ showcasing all that Darebin has to offer, the campaign was entitled ‘Explore Darebin’. 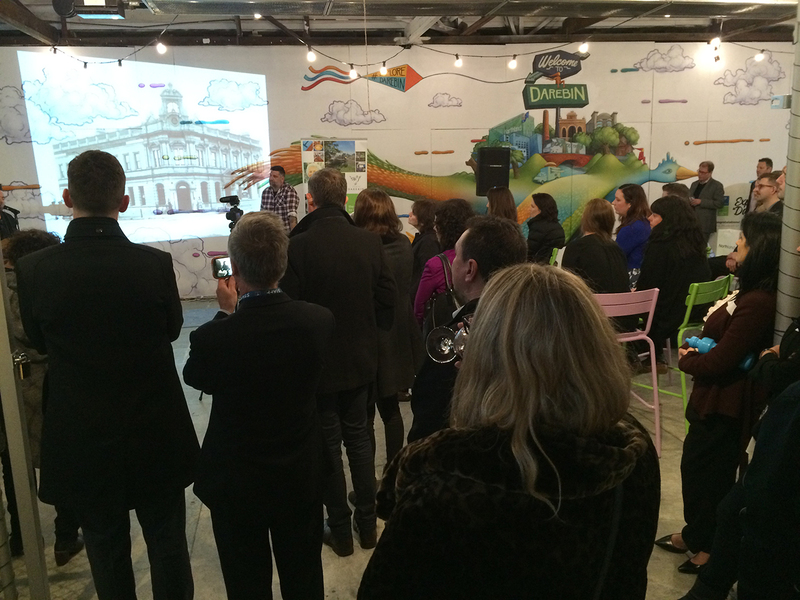 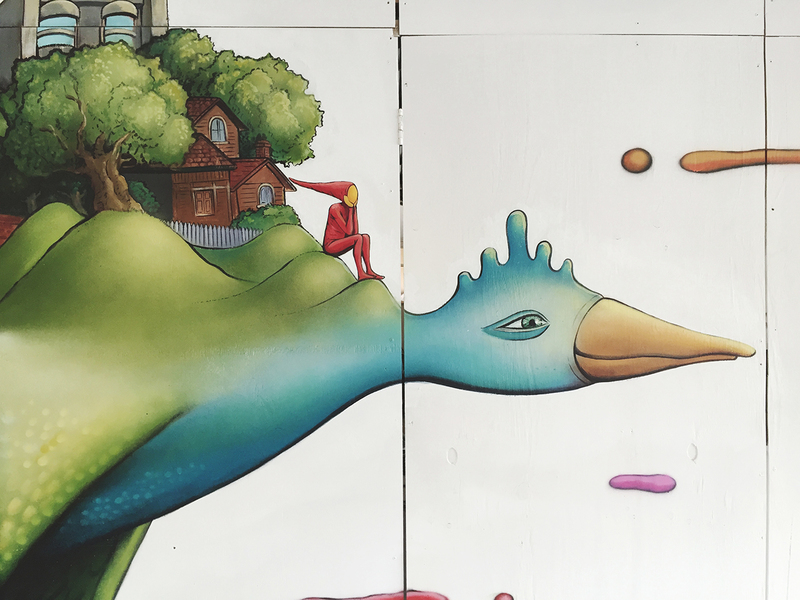 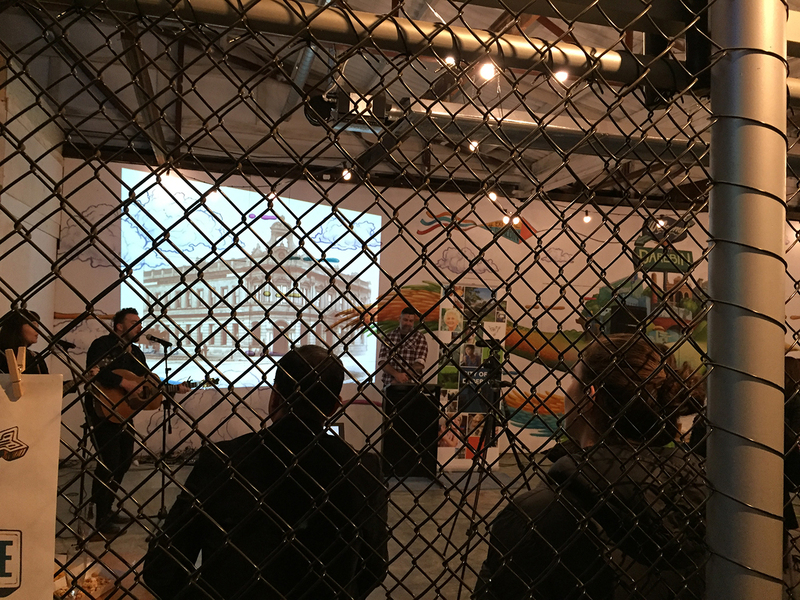 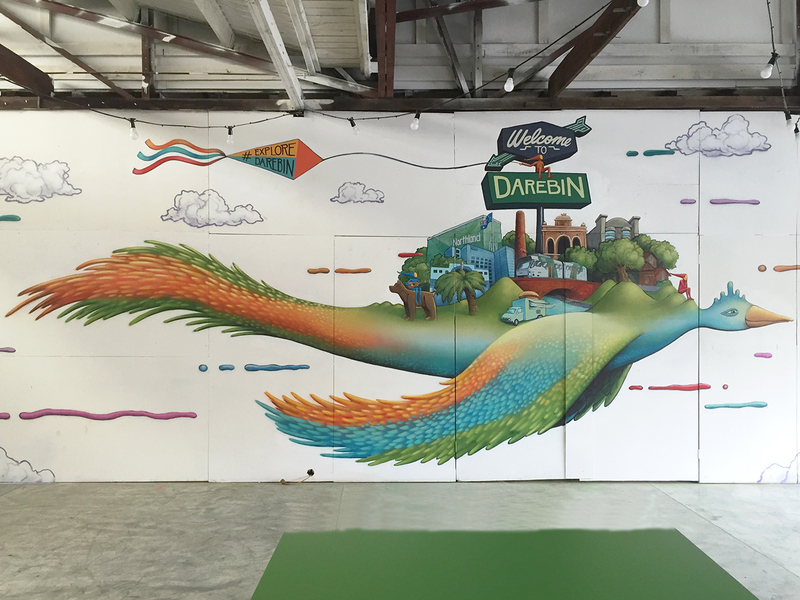 The mural was installed in the function room at Welcome to Thornbury – a Thornbury based bar, restaurant and food truck park. 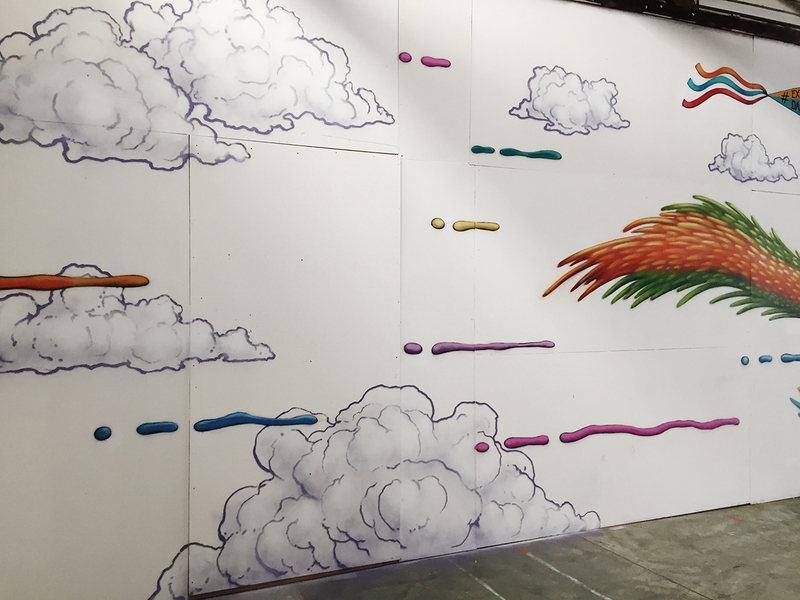 It was finished on the night of the event for attendees to enjoy the spectacle of seeing the work finished live. 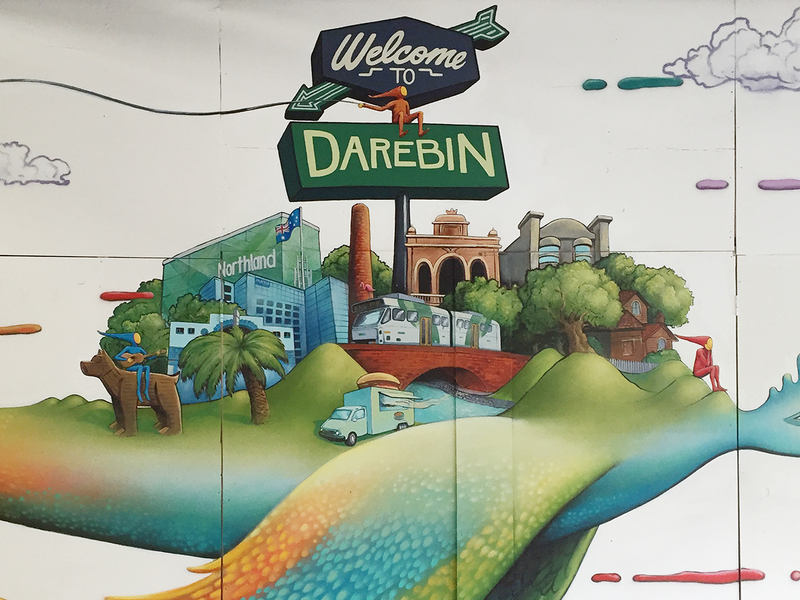 I was given a brief of several key Darebin based places and themes, but other than that I had good deal of creative freedom. 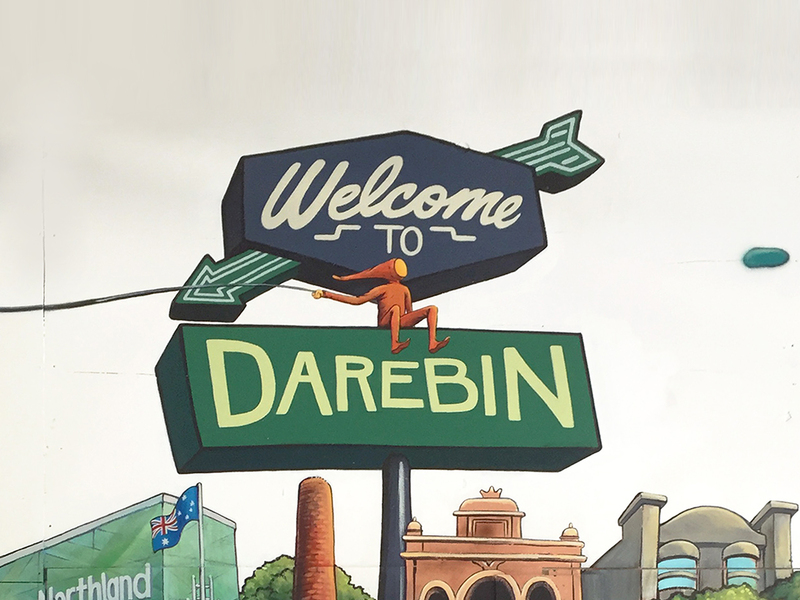 I used City of Darebin’s logo which features a stylised illustration of a bird as a jumping off point and created an image of a magical bird that has similar feather colours to the logo. 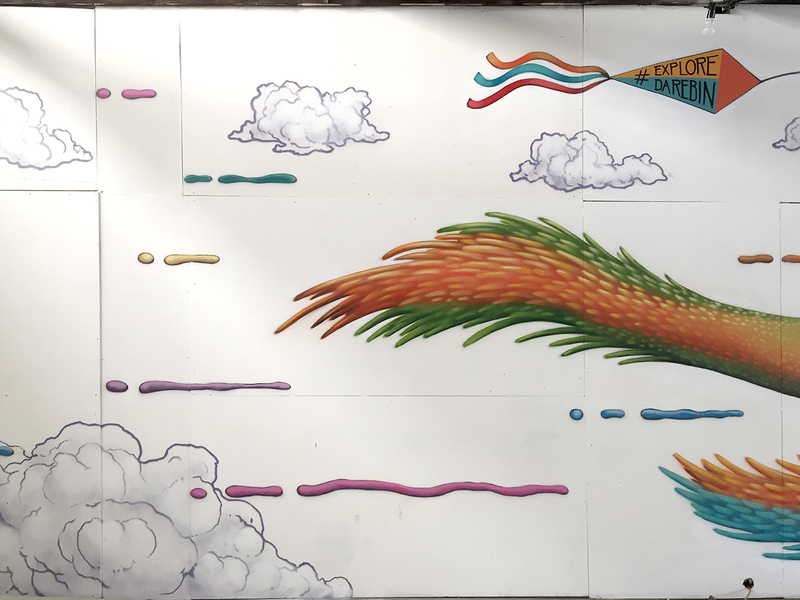 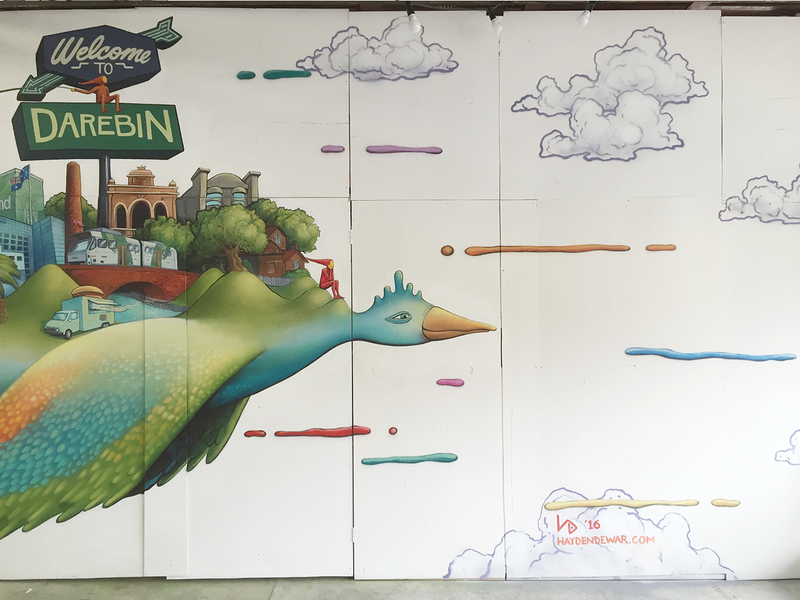 As it flies through a sky of colourful tendrils it carries a host of Darebin based places, objects and themes on it’s back. 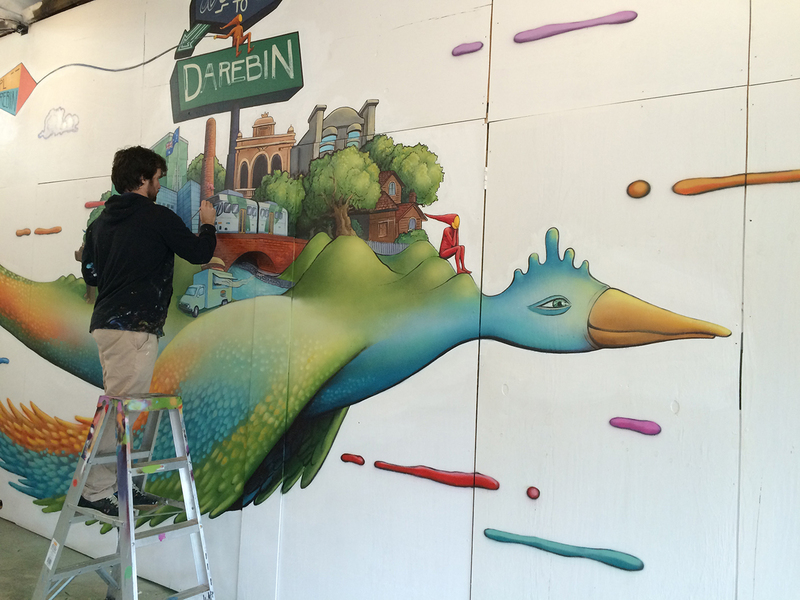 Some solarquin characters are also present as playful creative Darebin spirits. 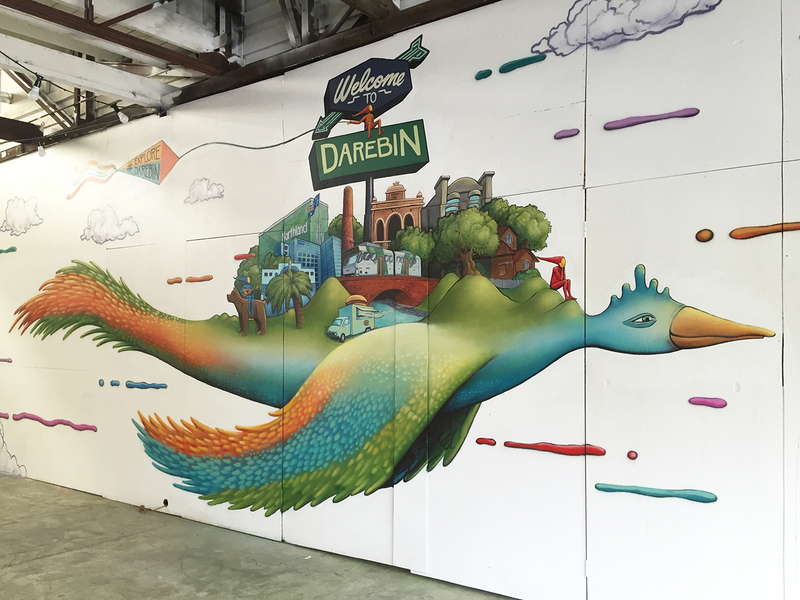 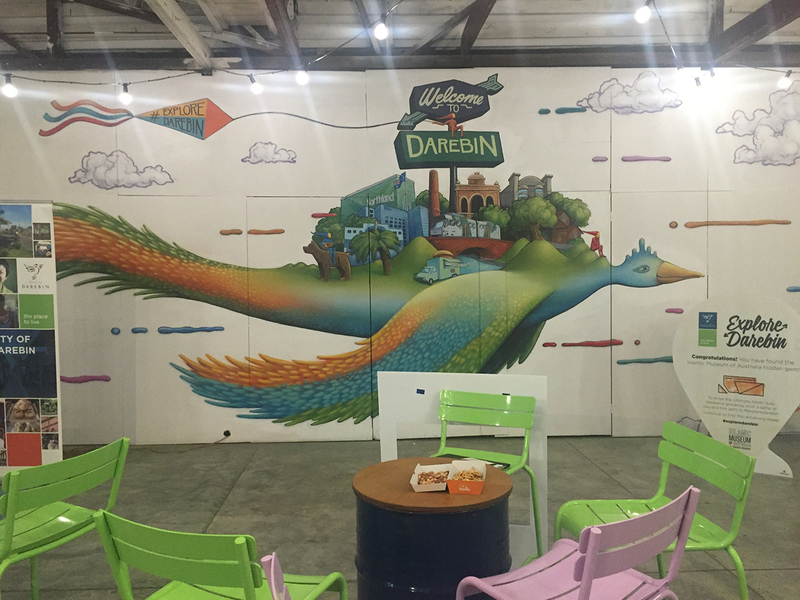 Here is a process video of the project, and below are some pics of the finished work and the ‘Explore Darebin’ event night – Enjoy!